Christian Heineking, center, celebrated his victory in the The Hildebrand Fund $30,000 Grand Prix aboard NKH Calango with wife Erin Davis-Heineking and Leonie, left, and Daniel Bedoya with Quattro. The 73rd Annual Pin Oak Charity Horse Show wrapped up Weeks I and II at the Great Southwest Equestrian Center in Katy, Texas. 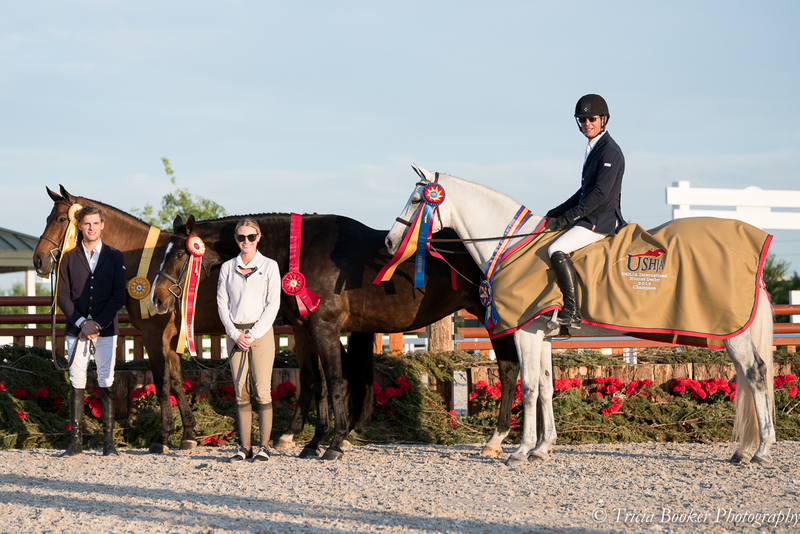 It was twice the fun for Christian Heineking and Peter Pletcher, as each rider won the featured Jumper and Hunter competitions, respectively, both weeks. The tradition that surrounds this USEF Heritage horse show continues in 2018, with the first week highlighting American Saddlebreds, sponsored by Bluebonnet Farm, in addition to Hunters and Jumpers. Pin Oak is also thrilled to welcome back title sponsors Irish Day Farm and PJP Farm, for weeks II and III, respectively. Peter Pletcher swept the top three places in the $30,000 USHJA International Hunter Derby during Week II aboard Mystique, Bring It On and Quintessential. This year, Pin Oak offers Premier Hunters and USHJA World Championship Hunter Rider competition, three USHJA International Hunter Derbies with $110,000 in prize money, five Grand Prix events, sponsored by Oasis Petroleum/Amalaya Investments, The Hildebrand Fund and Wells Fargo, as well as two U25 events sponsored by Booth Show Jumpers. Big ‘thank you’ to our ring sponsors for this year, Memorial Park Hunters, Saddle Shoppe and The Lincoln Motor Company. 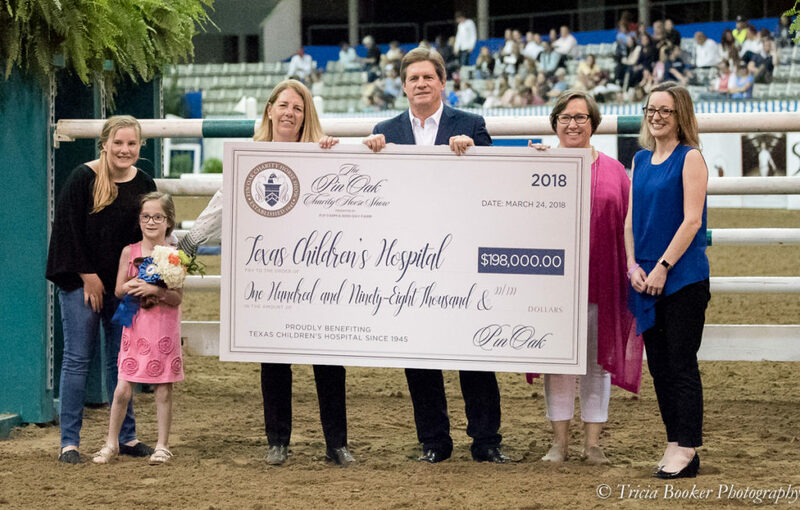 While celebrating Week II’s Northern Trust Fiesta Ringside Gala on Friday night, Pin Oak proudly presented a check for $198,000 to Texas Children’s Hospital. Since 1945, the horse show has now donated more than $6.8 million to the hospital thanks to the generous support of sponsors and donors. During Weeks I and II, it was Christian Heineking who led the victory gallop in the Amalaya Investments/Oasis Petroleum $30,000 Grand Prix as well as the The Hildebrand Fund $30,000 Grand Prix. Heineking, of Hudson Oaks, Texas, won both weeks aboard NKH Calango, a 10-year-old, Belgian Warmblood gelding. And while his consecutive victories were impressive, what made the events even more special was that his family joined him center stage—Christian’s wife, Erin Davis-Heineking and “cousin” Daniel Bedoya finished right behind him in both Grand Prix classes. Bedoya was second riding Quattro each week and third with Quilona V Z during Week I, and Erin placed fourth aboard Leonie Week I and moved up to place third Week II. Erin was first to go in the six-horse jump-off during the Week II Grand Prix, with her husband, Bedoya and Briley Koerner set to chase her down. With a double-clear effort, she set the pace–but the guys caught her. Koerner placed fourth aboard her impressive For Jef VD Wezelse and won the U25 section, sponsored by Booth Show Jumpers. After securing the victory aboard Calango, Christian chose not to jump off aboard his other two qualified mounts, NKH Selena, winner earlier in the week of the $25,000 Pin Oak Charity Grand Prix, and NKH Carrido. So, it was a family sweep of the top three places. Peter Pletcher, of PJP Farm in Magnolia, Texas, topped the card both weeks in the $30,000 USHJA International Hunter Derby aboard Jamie Jarvis’ Mystique. Pletcher also took second and third places Week II with Bring It On and Quintessential. Pletcher also won the $10,000 USHJA National Hunter Derby during Week 2 aboard Hollis Hughes Grace’s flashy chestnut Hoopla. “He’s fun and super straightforward,” said Grace of the 9-year-old gelding she purchased on March 14. “When I tried him, I loved his jump and that he could take a joke like no one’s business, because I can give plenty and be a real comedian on him! And this was Peter’s first time to sit on him, right before the class. 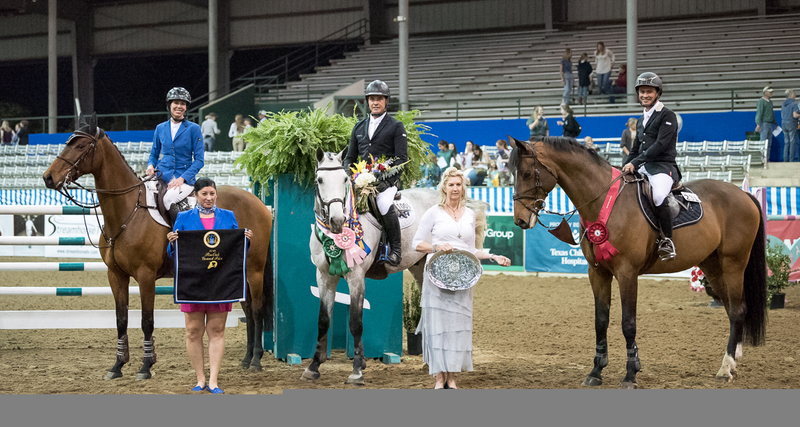 Dana Vollbracht’s Davidson and Amberlee Wentz won the $10,000 USHJA National Hunter Derby Week I.
Barbara Bailey’s West End Girl (Westporte—Sands Of Time) took Best Young Horse honors both weeks with Robert Moyar handling. 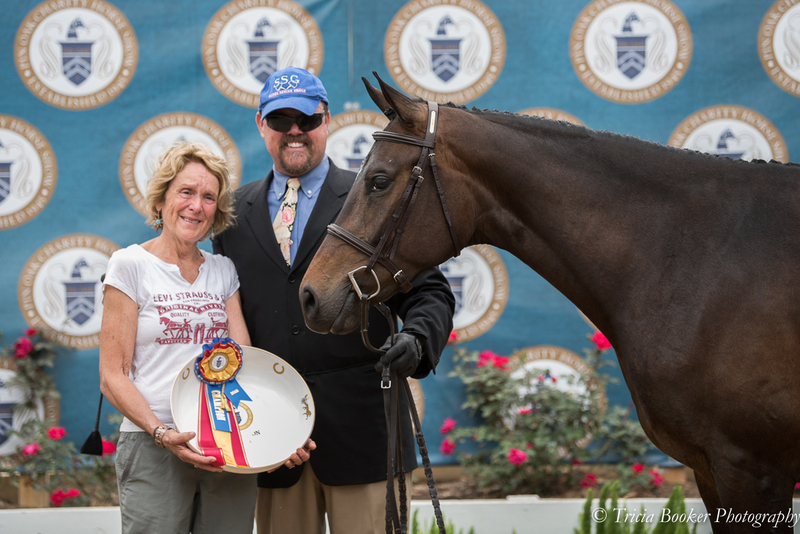 Barbara Bailey’s West End Girl, with Robert Moyar handling, earned the Best Young Horse title during Weeks I and II. During Week I, the American Saddlebred divisions, sponsored by Bluebonnet Farm, took their turn around The Lincoln Motor Company Main Indoor Ring. Jack Magill drove Roger Gibson’s Lulu Frost to the Fine Harness Championship in a highly competitive class. Magill also claimed the Three-Gaited Stake aboard Ridgewood’s Special Agent for owner Mary Jean Hooper. In the Five-Gaited Stake, it was Janice Henderson’s Night Contender taking the victory pass with rider Paul Cates. The Junior/Amateur exhibitors rode hard for their championships, as well, with Catherine Street claiming the Five Gaited Amateur/Junior Exhibitor tricolor aboard Blue Curaco. Cathy Coleman topped a strong field of nine to win the Three-Gaited Amateur/Junior Exhibitor championship aboard Alta Dare Farm’s Madeira’s Blue Ruby. And in the largest class of the show, the Three-Gaited Show Pleasure Championship, it was Joan Cantrell earning top honors aboard The Musical Link under trainer Tommy Benton. Week III of Pin Oak runs April 3-8 and features the $25,000 Pin Oak Charity Grand Prix and Sponsor Reception presented by Brookside Pine Farms on Thursday, the $50,000 USHJA International Hunter Derby and Modern Luxury ‘Bourbon, Bowties & Big Hats’ Derby Reception on Friday night, and the Wells Fargo $30,000 Grand Prix and Ringside Gala on Saturday night. Our 2018 Honored Heroes from Texas Children’s Hospital, Lila & Gavyn, will also be honored on Saturday during the Grand Prix Opening Ceremony. Read their stories on page 8 of the Pin Oak Program. For complete results, please visit HorseShowsOnline. 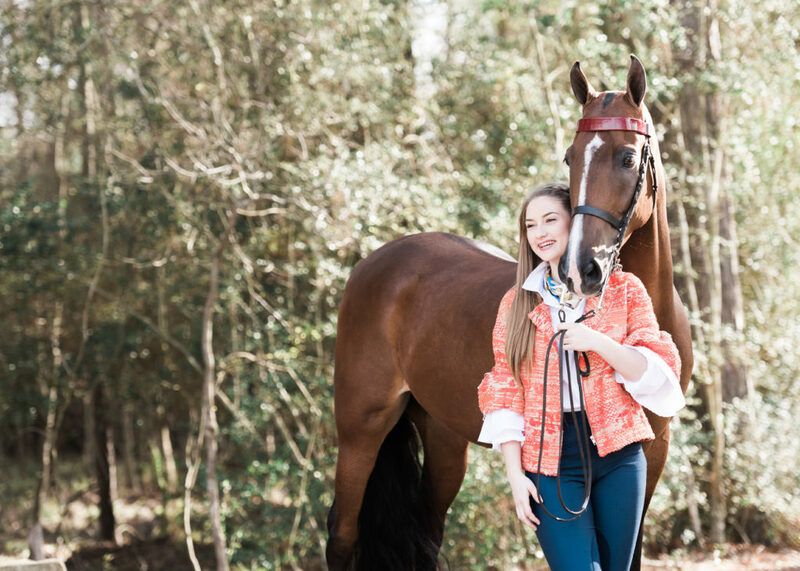 Keely McIntosh of Magnolia TX has been attending the Pin Oak Charity Horse Show in Katy,TX since she was a little girls, and is now getting to live out one of her earliest dreams in life, to compete in the Grand Prix at Pin Oak. Keely was the Under 25 Grand Prix Champion in 2017. 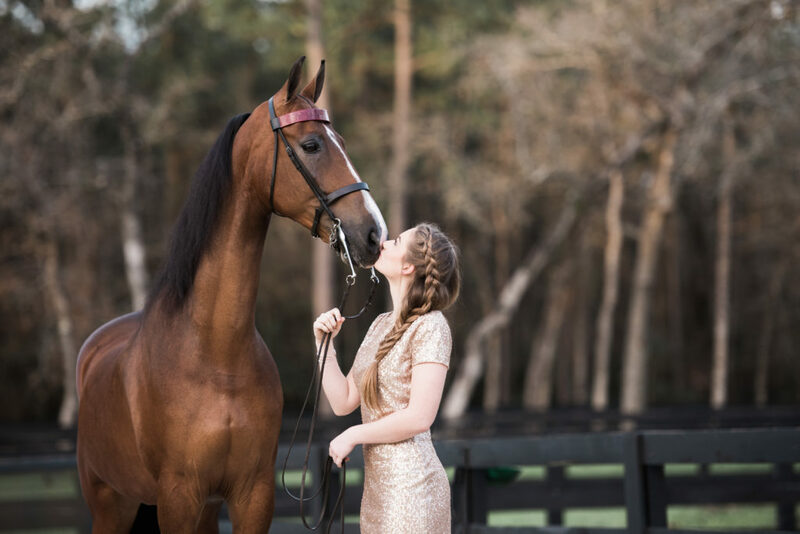 Keely with the encouragement and support of her mom, Jenny Booth of Booth Show Jumpers, now travels all over the country showing her horses, including Sulli, who had his day in the spotlight during the Faces of Pin Oak Shoot. Keely’s Equestrian look featured items from Exceptional Equestrian including their Berry Tailored Sportsman Breeches with brown knee patches, a Fior Da Liso Emma shirt, Frederique Scarf, and Sandy Defter Belt. Elaine Turner provided their amazing Katia Fringe Earrings in Navy. Keely completed this look with her Tucci Tall Boots. When I started searching for the perfect dress for Keely to wear for her formal look I came across the Yoana Baraschi Oscar Wild Dinner Dress on Rent the Runway and knew it was the perfect look for Keely. It is super important to pick items for pictures that will give you shape and the best way to do so is to look for items with structure to create that look and shape at all times. We paired this dress with a gorgeous Turquoise Statement necklace from Texas Silver Rush to help tie in the teal color in Trap’s Bow Tie & Pocket Square from E. F. Meeks. Trapp O’Neal is there owner and trainer at TKO Sporthorses in Magnolia,TX. Trapp & his mount Capitano are two time Pin Oak Grand Prix Champions. 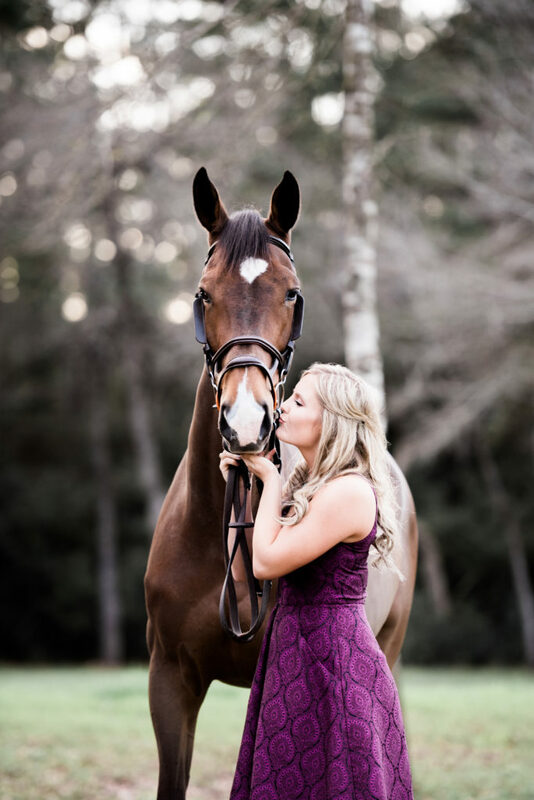 For the Faces of Pin Oak shoot, Trapp was photographed with Kid, who is owned by Sarah Meyer. Kidd was quite the ham and loved every moment of being the center of attention for pictures. 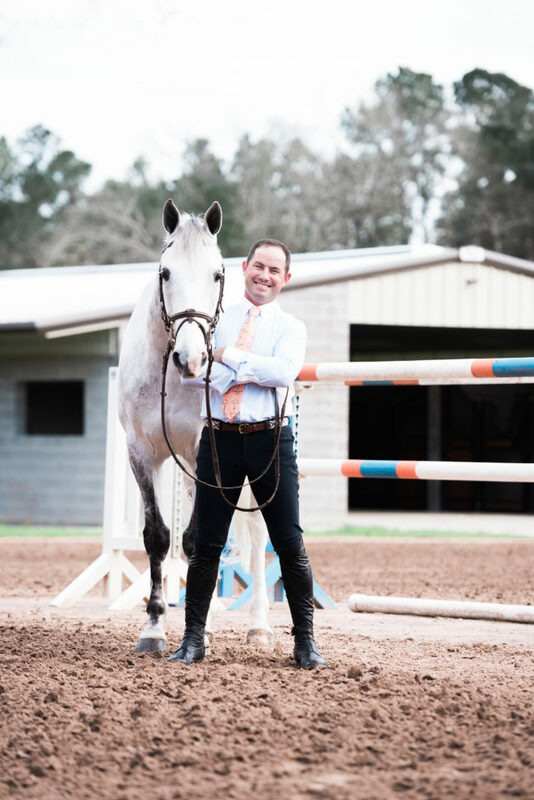 Trapp shares that his favorite part about showing at Pin Oak is the crowd and the atmosphere, one Grand Prix nights the energy in the ring is undeniable. Trapp’s Equestrian look was provided by Luxe Eq. Trapp wore items from the Cavalleria Toscana Collection. Trapp wore the Cavalleria Toscana Men’s Guibert Shirt, it is a light blue button down with a white collar and cuffs. This was paired with a pair of Navy Cavalleria Toscana Breeches. His look was wrapped up with his lucky woven belt, you can shop a similar style at Luxe Eq with their Cavalleria Toscana Stripe Stretch Belt, and his orange tie featuring bits was by E.F. Meeks. 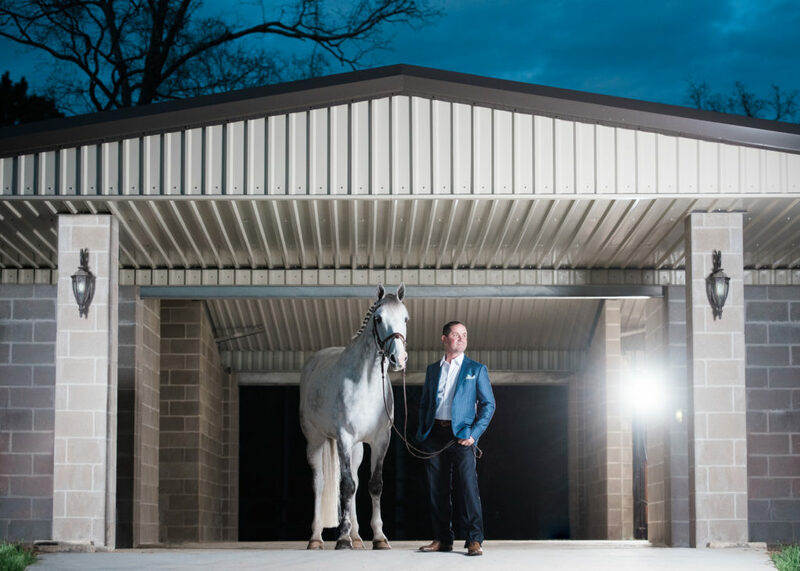 When Lauryn, of the Pin Oak Charity Horse Show, came up to me and let me know that Festari for Men would be providing one of their amazing pieces for the shoot I was ecstatic. They make custom tailored one of kind suits and they are absolutely stunning. They provided us with a Royal Blue Windowpane suit for Trapp to wear. Trapp also wore a Cavalleria Toscana button down dress shirt from Luxe Eq with his suit. We paired this look with a bow tie & pocket square from one of my favorite equestrian tie shops, E.F. Meeks. E.F. Meeks makes bow ties, ties, and pocket squares that are perfect for the equestrian. If you are attending an equestrian event or derby party and need the perfect statement piece you have to check out their store. Shopping at horse shows can be absolutely dangerous. These stores have so many cute things that I need in my life…and I only just glanced through a few of them the other day! I wanted to give everyone a run down on some of the amazing vendors you can find at the 2018 Pin Oak Charity Horse show. The Pin Oak Charity Horse Show is the perfect place for equestrians and horse lovers in the Houston area to shop. For the ease of finding everyone I will start with everyone that is on the main “vendor row” starting furthest away from the Coffee Shop. 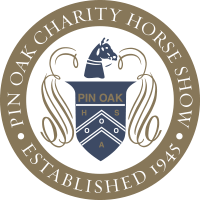 If you are a vendor at the Pin Oak Charity Horse Show and you want to have anything added to your information you can email me at equine@karindak.com with the information you would like to include. 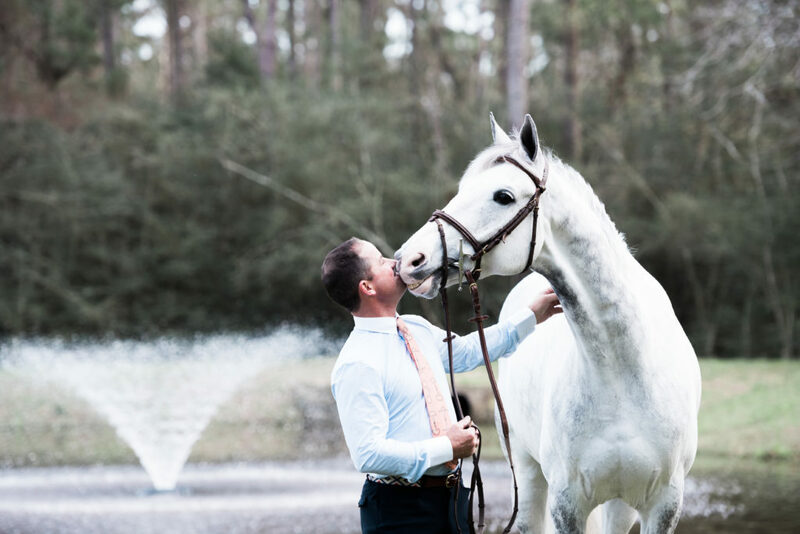 Luxe Eq has a huge selection of equestrian attire from some of the top brands that are hard to find including Asmar Equestrian, Cavalleria Toscana, Winston Equestrain, and so many more. They also have an amazing selection of sale items right now, I even picked up an incredibly gorgeous sweater on the first day of the show. 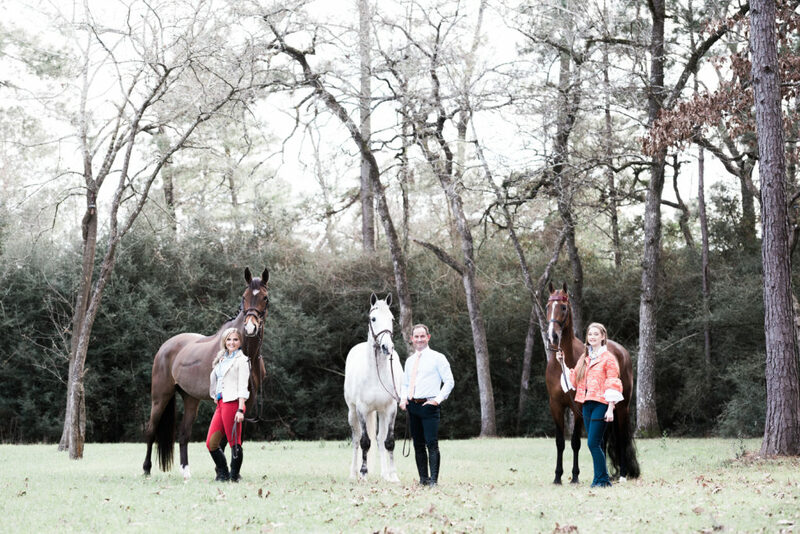 Luxe Eq also provided items from Trapp’s Equestrian look for the Faces of Pin Oak shoot. Showtime Couture has both equestrian attire and the most amazing equestrian decor items. If you are looking for the perfect gift for an equestrian life head over to these ladies and I am certain you will find something perfect for them! “An effortlessly chic collection of small, timeless leather bags and accessories inspired by Texas heritage and saddlery craftsmanship.” You have got to stop by and check out these bags, they are absolutely beautiful, and the best part is that they come in so many different beautiful colors, and the inside of the bags are as beautiful as the outside…and soft. Oh, and the story of how Jennifer got started creating these one of a kind bags is amazing. “Clare Christie is an artist whose work concentrates on the harmony of Movement and line to capture the energy of the horse. A native of Austin Texas, her work reflects her years in the saddle training hunter and jumper horses and teaching others to ride. Her time spent around the animals did more than give her a strong sense of the anatomy of the horse, it taught her to capture their physical strength and subtle body language.” Clare’s work is some of the most beautiful I have ever seen, her horse’s features are so life like and just will take your breath away. 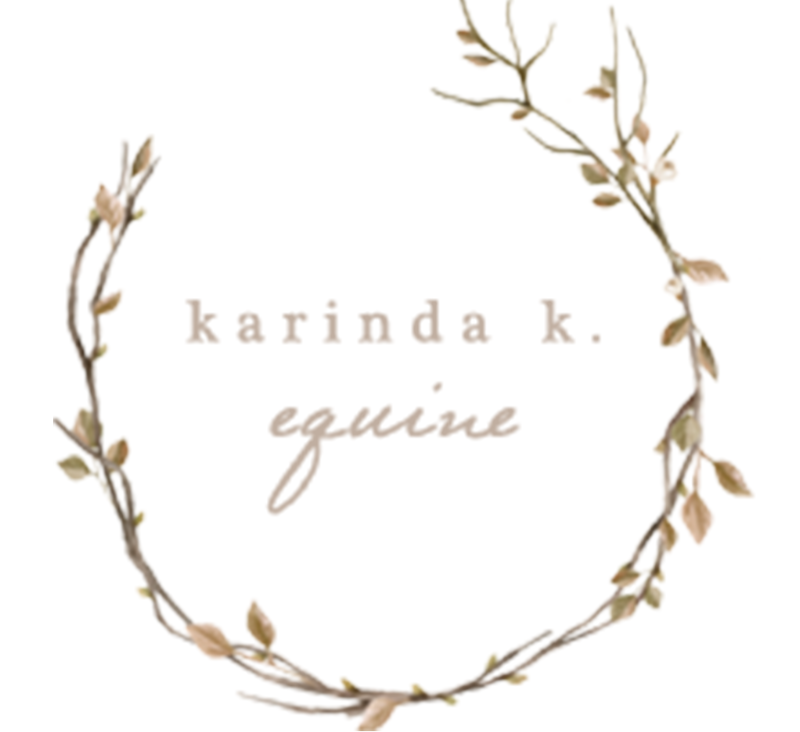 Life goal #2343224398: Have a custom commissioned sculpture from Clare of each of my horses. A quick stop in at Bluebonnet Feeds is a must for any horse owner at the Pin Oak Charity Horse Show. These ladies can help you make sure you are providing your athlete with the proper nutrition they need. Just a few minutes spent chatting with them made me realize so many thing about feeding my horses that I was not aware of before. It was such an eye opening experience and I highly recommend stopping by and learning more about how their feeds are different than what you are already feeing your horse. What horse person doesn’t love the perfect equestrian accessory, Ronald Raven Designs offers a selection of jewelry perfect for the equestrian. I think a little piece of jewelry would be the perfect way to celebrate your accomplishments after a long week at the horse show. A quick trip around the show ground and you will see at least 1 or maybe 5 people sporting Antares gear. Antarès Sellier was established in 2000 by five equestrian professionals with the objective to create a unique saddle custom fit to meet a rider’s needs. Antarès Sellier is among the top saddle makers in the world with over 35 craftsman specializing in bridlery, harness making and saddlery design, producing more than 3000 saddles every year. 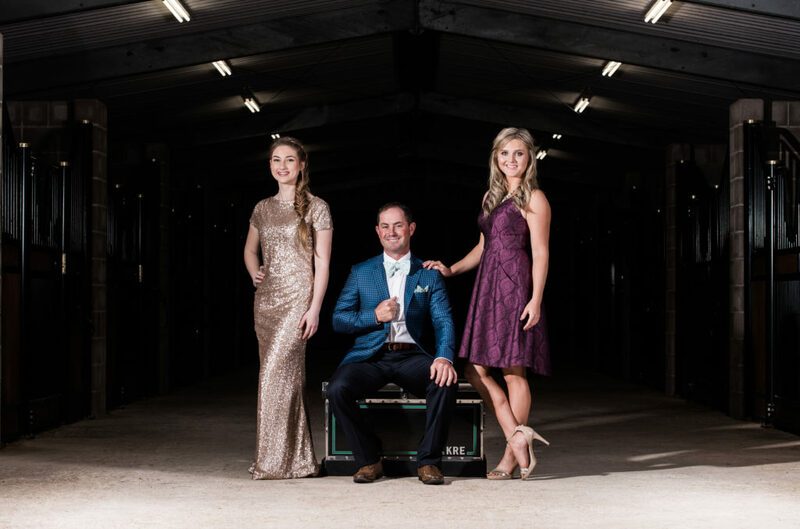 The originality, vivacity and creativity of Antarès has significantly raised the benchmark for saddle making and has set the ”gold standard” of the profession today. Exceptional Equestrian is an Equestrian Lifestyle Boutique. They have a large selection of equestrian attire for both showing and everyday wear. They have brands like Equaline, Fior Da Liso, and so many more. 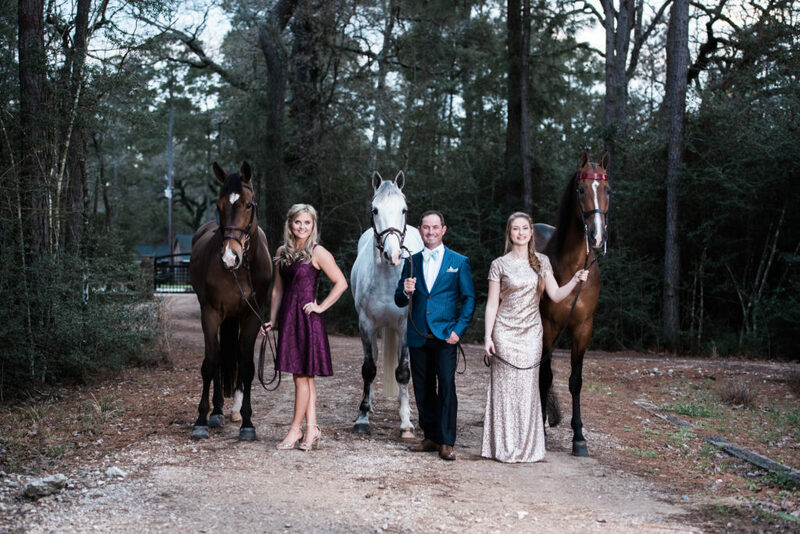 They also provided some of the looks for our Faces of Pin Oak Styled Shoot including Keely’s Red Tailored Sportsman Breeches, Blue Belt, and both Sydney & Keely’s silk scarfs. Brazos Valley Equine is all set up ready for any of the exhibitors needs during the show. How great is it to be able to walk right over and have anything and everything you could need for your horse’s health and medical needs. Quail Hollow Tack is the go to place for any of your needs during the horse show from tack to grooming supplies, and pretty much anything else you may need. They have a store in Flower Mound and the mobile store that travels to horse shows. I remember going to Quail Hollow as a little girl and shopping, they have been around for year. You can also see the jump crew sporting the Quail Hollow Tack logo on their shirts at the show! Keely’s mother, Jenny Booth of Booth Show Jumpers, used to take her on trail rides for naptime and have Keely sit in front of her on an old quarter horse mare named ‘Fanny’, a pretty flee bitten grey. At age 5, Keely began riding Fanny and Jenny rode Fanny’s daughter, a bright chestnut mare named ‘Beebers’. “This is what childhood was like for me, trial riding through the forest and taking naps on the backs of our horses,” said Keely. Sulli and Keely compete in show jumping, and won the Pin Oak U25 Grand Prix, second in the $50,000 Grand Prix in Ocala in February. They have also won and placed in several U25 Grand Prixs, open Grand Prixs, and High classics. Keely’s favorite story is how she met Sulli. One day, Keely’s mother got a call from world renowned jumper McLain Ward, saying he had a horse Jenny might be interested in. Her mother declined, as the family’s barn was full at the time. “During that year, two separate people rode him and tried to buy him,” she said. “That was when the accident happened. He was walking through a stall with a giant metal pin sticking out. It got caught on his side and tore him open as he ran through the gate. It took several stitches and months of rehabilitation until he was able to be ridden again. Because of his injury, Sulli took some time to build confidence and trust with Keely, but she remembers it being clear from the beginning they were made for each other. These days, Keely and Sulli’s relationship is incredibly strong (aided by his favorite treat: Mrs. Pastures horse cookies). 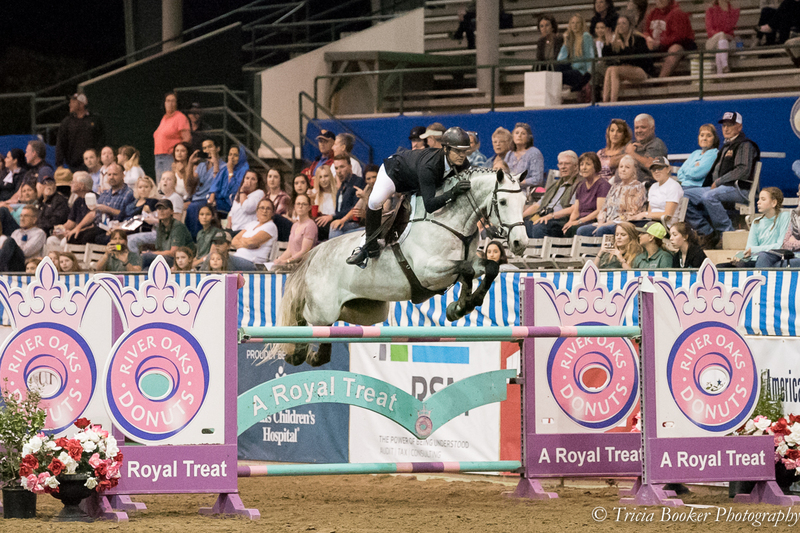 Trapp O’Neal, owner and trainer at TKO Sporthorses, has been riding since he was 6 years old and has moved up through the ranks to the Grand Prix level. Kid is a handful! He loves attention, but you would never know because his ears are always back. He is an escape artist and you will find him out of his stall, just hanging out in the barn. Garo Kazan imported Kid as a 5-year-old and was then purchased by the Meyer family. At that time, Kid had never competed. Sarah Meyer said she loves Kid because he has the biggest heart and will give it his all for you in the ring. This young horse has been making quite a name for him and is definitely one to watch. “I have been lucky enough to develop him over the last 3 years into this horse he is today,” said Trapp. He was second last year in the Joker Class, won his first 1.45 in Colorado and was in the 6-year-old finals. Sydney has been riding for 13 years and competes in Saddle Seat with the American Saddlebred, with a passion for the equitation division. Sydney rides with Vantage Point Farm under the instruction of May Chadick and David Blevins and will be competing in Week One of Pin Oak. Sammie is infamous for eating tack. Even if you think it’s not in reach, he’s chewing on it. Sammie has competed in everything from Saddle Seat Pleasure, Hunter Country Pleasure, to the Academy ranks. Towards the beginning of his career, Sammie won the Pin Oak Park Pleasure Championship amongst wins across the nation with May Chadick. Five years later with his new owner, Alexa Bernal, he was the Pin Oak Open Pleasure Champion. 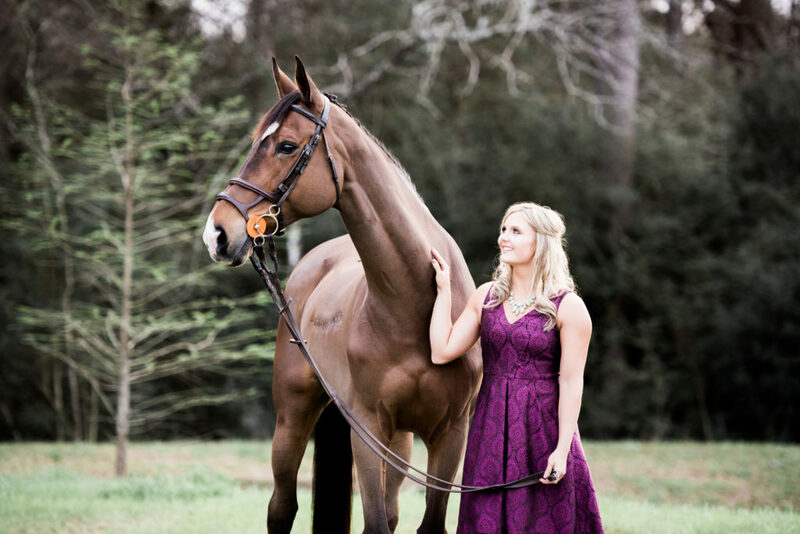 For Week 1 of the Pin Oak Charity Horse Show I am super excited to introduce you to Sydney Young. Sydney was the Saddleseat Equitation Champion in 2017 and she has been a part of Pin Oak for years. 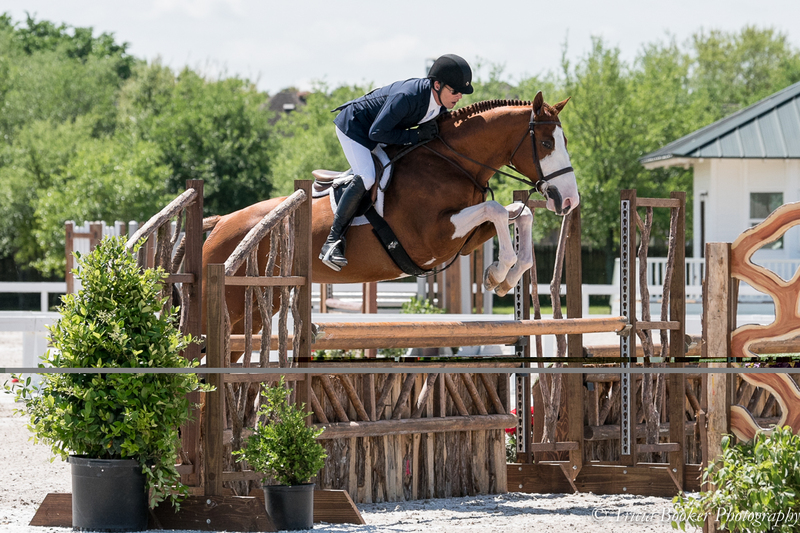 Sydney shares that “One of my proudest moments was winning the Pin Oak Saddle Seat Equitation Championship last year for the first time…” Sydney rides with Vantage Point Farm under the instruction of May Chadick and David Blevins. 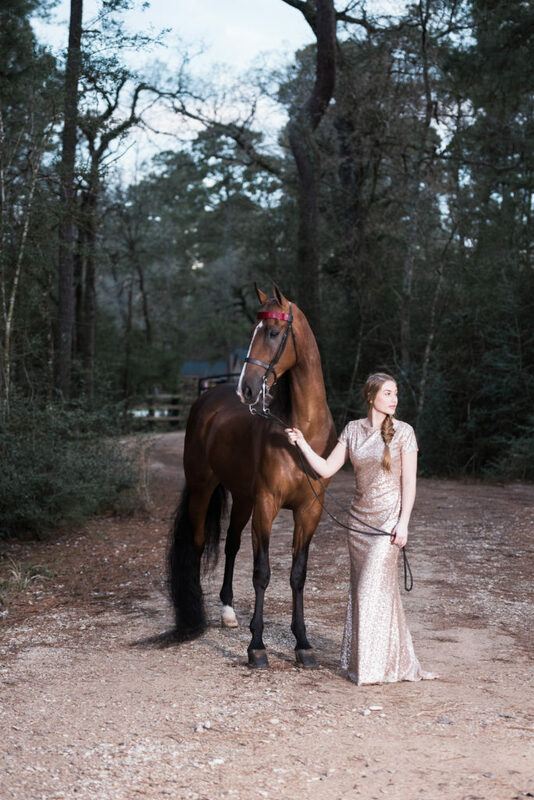 For the Faces of Pin Oak shoot they brought over Goodnight Sweet Dreams, a 12 Year Old American Saddlebred Mare that is owned by Alexa Bernal. I am super excited to get to see Sydney in action this year during the Saddlebred Show during Week 1 of the Pin Oak Charity Horse Show. For Sydney’s Equestrian look she was sporting a gorgeous white button Carolyn Shirt with flared sleeves that was paired with the Tori Jacket in Tomato Tweed that was absolute perfection from Elaine Turner. We added some equestrian flair to her look with a Lilo scarf provided by Exceptional Equestrian. These pieces paired perfectly with Sydney’s Navy Breeches that had a subtle pin stripe accent. Sydney’s look was completed by a soft and subtle braid that was done by Love and Makeup Beauty. Sydney was wearing one of my absolute favorite dresses for her Black Tie Look. Her gold sequin dress is a one of a kind dress from Renegade Bridal & Gala, a Houston based custom dress designer. I actually purchased this dress from Natalie because I adore this dress so much and knew that my clients would all love getting to wear it for their pictures. Her look was completed by adding a simple cuff bracelet from Texas Silver Rush in Fredricksburg,TX. Meet the riders in the 2018 Pin Oak Program!